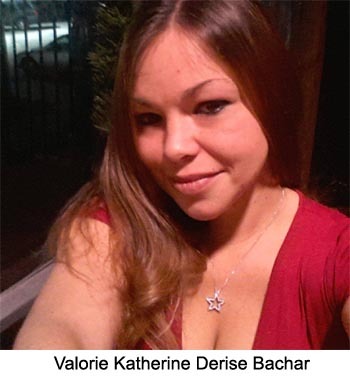 Virginia: Valorie Bachar, facing heroin possession charges, also has vicious pit bulls. Imagine that! VIRGINIA -- A Fredericksburg woman was convicted Tuesday of a charge stemming from a dog attack in May. The nuisance animal conviction, in General District Court, isn’t the only run-in Valorie Katherine Bachar has had with the law. Bachar, 32, already has been convicted of owning a “dangerous dog” and faces a felony drug charge as well, according to Fredericksburg court records. On Tuesday, Bachar was fined $100 (she also had to pay $94 in court costs) for the May 17 attack in the 1100 block of Kenmore Avenue, where Bachar lives with her father, who had his charge in the attack dropped. 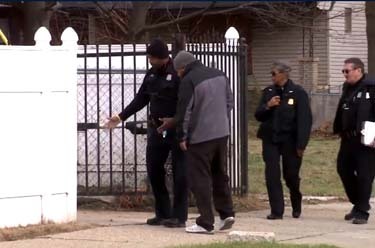 A woman who lives in the area was walking her small terrier when a pit bull at the house where Bachar lives got out of a garage and attacked the woman and her dog. The woman suffered a head injury when the pit bull knocked her over. The woman’s dog survived, but had to get stitches. One of Bachar’s pit bulls had already been declared a dangerous dog for an attack on another woman and her dog in December. In that attack case, the woman was walking her golden retriever along Kenmore Avenue when two pit bulls pushed open the glass front door of Bachar’s home and attacked, according to Fredericksburg Circuit Court records. One of the pit bulls bit the retriever on the neck and bit the woman when she intervened. 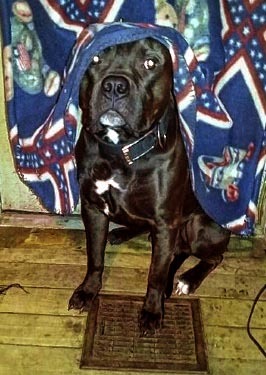 After an April hearing in circuit court, that dog, a “brindle” pit bull named Buddy, was declared to be dangerous. 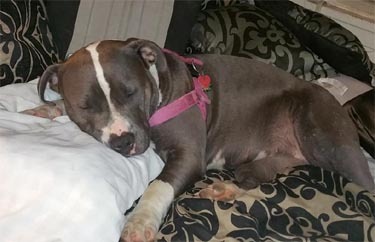 The finding requires Bachar to register the dog in Virginia’s Dangerous Dog Registry, put a dangerous dog tag on the dog’s collar; post warning signs on the property; get $100,000 liability insurance; and keep the dog on a leash and muzzled when out of the house. No Fredericksburg dogs were listed in the registry as of Tuesday. Bachar also faces possession of heroin and paraphernalia charges in an unrelated case, for which she is scheduled for a July 13 trial in circuit court. 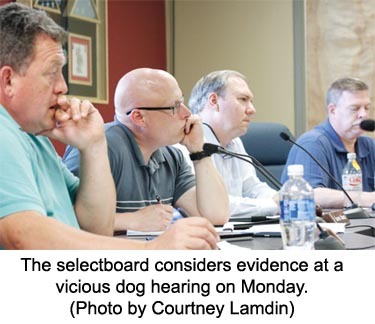 VERMONT -- Milton’s Selectboard has ordered the two rottweilers who mauled a 69-year-old woman earlier this month be euthanized. 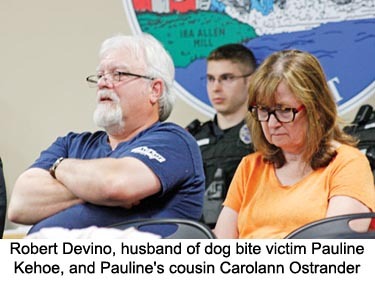 The decision came after a public hearing Monday night, during which relatives described the wounds inflicted by Scooter and Clarence, two 110-plus-pound dogs that attacked Pauline Kehoe on Eagle Mountain Harbor Road on June 18. According to sworn testimony, the dogs bit and tore at Kehoe’s neck and punctured her thigh and scalp. 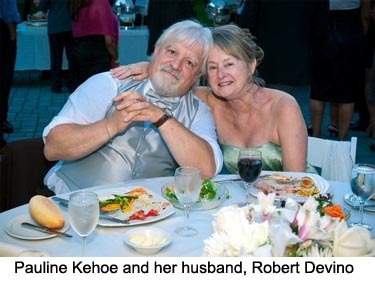 The dogs dragged Kehoe across the gravel road, embedding rocks into her leg, her husband, Robert Devino, said. Statute allows municipalities to order offending dogs be muzzled, chained, confined or euthanized if an unprovoked attack occurs off the owners’ property and requires medical attention. Reached Tuesday, selectboard chairman Darren Adams said board members agreed euthanization was the only possible decision. Notably absent at the hearing were the dogs’ owners, John Bowes and Gretchen Kunze, both of whom were overseas, email correspondence shows. Despite this, the board adjourned and entered deliberative session, though Bowes and Kunze asked for a subsequent hearing. According to the emails with town manager Donna Barlow Casey, the couple didn’t have time to retain legal counsel, so they emailed a statement saying their dogs have never bitten a human. The dogs have, however, had altercations with other dogs, neighbors testified, and police reports confirm. The latest occurred almost a year ago to the date and resulted in a settlement agreement, documents show. The matter at hand, however, concerned Kehoe’s attack. Witnesses said Bowes was walking both dogs, leashed, along the road around 5 p.m. when he encountered Kehoe and her cousin, Carol Ann Ostrander of St. Albans, and struck up a conversation. Ostrander testified Bowes said he was moving back to the United Kingdom, as he and Kunze were breaking up. The next thing Ostrander knew, one of the dogs hit Kehoe on her tailbone, knocking her to the ground. “Once that happened, both dogs … were ripping her apart,” Ostrander said through tears. “While I was watching, it was my Pauline who I loved being murdered. These dogs were murdering her, ripping her throat. “They were just throwing her around off the ground and on the ground,” she said. Inside the house, Devino heard barking and screaming and rushed out to apply pressure to his wife’s neck. Ostrander called 911. Milton Rescue member Vickie LaFountain testified the crew arrived 20 minutes later – Eagle Mountain Harbor Road has one of the longest response times – and observed “bite and a drag” type wounds. LaFountain testified Ostrander told her the attack happened quickly. Devino testified the neck wound was an inch from a major artery, and Kehoe’s head wounds were a quarter inch from her ear. A series of scans, a two-hour surgery and 40 stitches later, Kehoe spent four days in the hospital. She couldn’t attend the hearing due to her recovery. Devino, who said Kehoe looks like “she was beaten by several men,” said her swollen leg makes it difficult to walk, and mobility in her right arm is limited; it’s numb from the shoulder to her elbow, he said. She can’t drive, shower or cook, though she started physical and occupational therapy this weekend. Before adjournment, Adams asked Devino what he thinks the board should do. Devino said he’s torn since he’s a dog lover; he and Kehoe rescued four dogs. Devino said thinking of banishing the dogs elsewhere where they might kill someone doesn’t bring him comfort. Scooter and Clarence are currently quarantined at Pinebrook Kennels in Milton, where they’re reportedly in good health and show no signs of rabies. 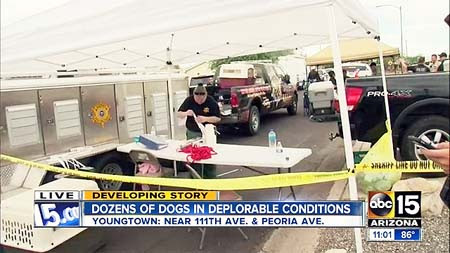 Records show the dogs were vaccinated but not registered with the town until four days after the attack. Neighbors also detailed their experiences with the dogs. Tracey Tobin said Scooter and Clarence attacked her mutt in 2013 after it barked at the dogs by the road. The Rottweilers got hold of her dog’s hindquarters and caused injuries requiring 28 stitches and almost tearing off an ear, Tobin said. She never reported it to police. David von Holden witnessed this attack and noted another, on Alan Gnessin and Andrea Merrick’s dog, Henry, last summer. 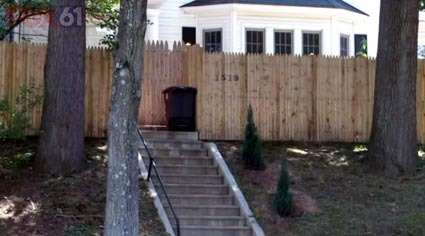 According to that police report, Henry was leashed in his yard when Scooter and Clarence attacked. This resulted in a civil settlement, which requires the Rottweilers be leashed and each under an adult’s control, or else they’d be removed from the neighborhood, it reads. Von Holden said he avoids walking by the house, where the dogs bark and snarl through the window. In emails, Kunze apologized and pleaded her dogs not be euthanized, instead suggesting they be banished from town. Oh, so they can attack and kill someone else in another town???? The board rendered its decision after an hour in deliberative session. 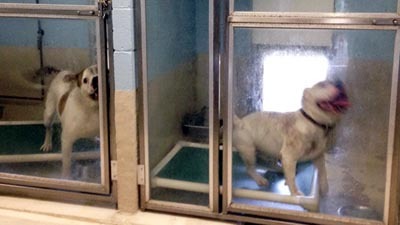 It requires the dogs be kenneled at Pinebrook until they’re euthanized, no later than July 30. The owners will bear all costs, the order says. 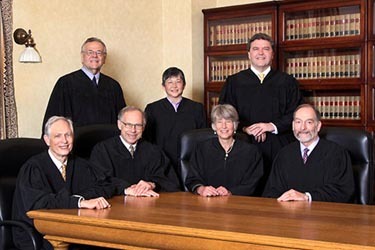 Meanwhile, Bowes and Kunze have 30 days to appeal the decision to the Vermont Superior Court – Civil Division, the order reads. 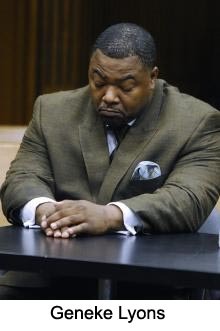 MICHIGAN -- he owner of four pit bulls that killed a 4-year-old Detroit boy directly apologized to the boy's mother in court on Thursday, adding that he was feeling the loss, too. 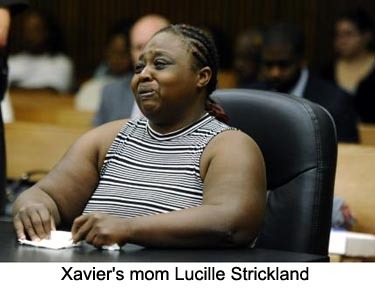 Geneke Lyons got teary-eyed as he told Lucille Strickland that he wished he could turn back the hands of time to save 4-year-old Xavier. 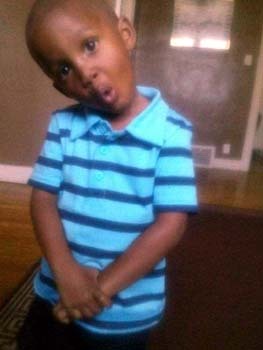 Xavier Strickland was walking with his mother in December when they were attacked by the dogs. Police had to shoot the animals to free the boy's body. Strickland said she wakes up every morning and kisses a picture of her son. Strickland said Xavier was young, but had an old soul. Lyons wasn't home at the time. But prosecutors said he should be held responsible because the dogs weren't under control. The evidence included security video of the fatal mauling, which left some jurors in tears. Lyons was found guilty of involuntary manslaughter last month. Judge James Callahan sentenced him to five years of probation. 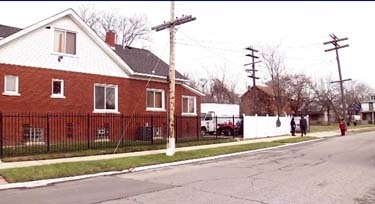 The first year will be served in the Wayne County jail under a work release program. After Lyons apologized, Strickland said she accepted it. "I'm really sorry," he said. "I've been going through the loss of Xavier. I haven't bounced back since the day it happened. This is something that is going to stick with me for the rest of my life." Lyons said he didn't raise the dogs to be vicious. "If I could turn back the hands of time, I would love to help you through your loss," he said. Lyons was sentenced to 1 year in jail and 5 years probation. He will be able to receive a work release during his probation period. CANADA -- Calgary cops were forced to gun down a “pit bull-type” dog that latched onto an officer’s arm during a drug raid in southwest Calgary Wednesday. After receiving a public tip, police launched a three-week investigation that led them to a home in the 2300 block of 19 St. S.W., in a residential area. Officers executed a warrant at the home at 9 a.m., forcing entry. As they entered, a “pit bull-type” dog lunged at a Tac Team member and latched onto his left arm. 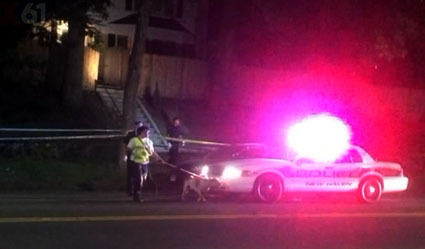 The officer tried to pull away, but the dog had locked its jaw on his arm, said deputy police Chief Ray Robitaille. Another officer shot and killed the animal. “Time was of the essence and lethal force was the only option available at that time to immediately have that dog release,” Robitaille said. 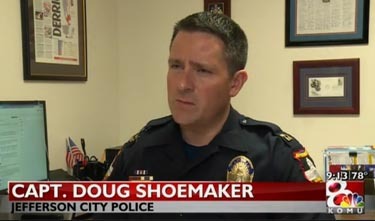 The officer was taken to hospital and required upwards of a dozen stitches to close the “serious” bite wound. It’s not known whether he sustained any long-term damage to his arm. Two people at the home were arrested. One of them was known to police, Robitaille said. The dog attacked on its own, without orders from an owner, Robitaille said. Its exact breed, or mix of breeds, was still being investigated Wednesday. Cocaine, marijuana and “a substantial amount of cash” were seized, but police have yet to determine exact amounts. 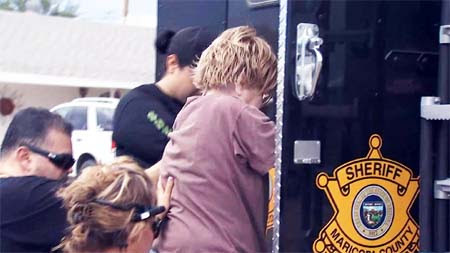 An hour after the first search, police executed a second and connected high-risk warrant in the 200 block of Coral Springs Cir. N.E. The first house was the “storefront” for drug sales, while the second was a “stash house,” Robitaille said. The situation was what police call a “dial-a-dope” operation, in which buyers call dealers to arrange sales. 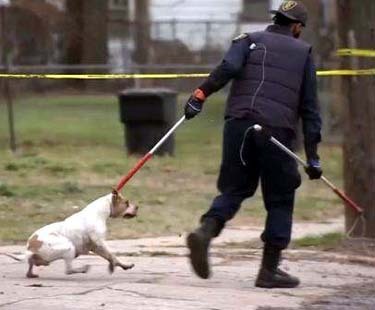 Several pit bull type dogs were also located at the second residence. Robitaille said it’s very unusual for dogs to attack during forced-entry situations. 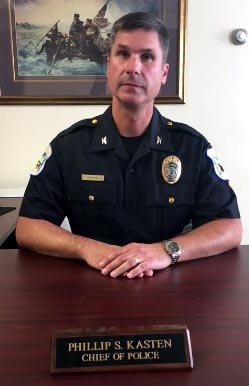 “Whenever we run into dogs at a search warrant, most will be quite passive, even breeds that would traditionally be viewed as aggressive,” he said. Charges against three men are pending as police continue to process evidence from the scenes. 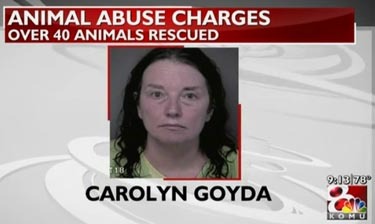 Missouri: Carolyn Goyda, accused of animal abuse, claims her 40 cats are "trained for therapy"
MISSOURI -- The Jefferson City Animal Shelter continues to care for 40 cats and a dog rescued from a home last week. "I'm going to turn a negative into a positive," said Carolyn Goyda, the owner of the animals who bonded out of Cole County jail Monday. Police arrested Goyda on June 23 after they served a search warrant at her home on Ashley street. Prosecutors have charged her with animal abuse. 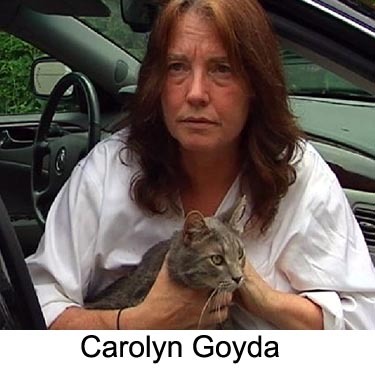 Goyda said she is going to fight the allegation and work to get her cats back. She does not believe she had too many cats. "Not for what we were doing. If I was just an individual just laying there eating Bon Bons, maybe," said Goyda. She claims she was training cats for therapy. Goyda said,"this is going to show these animals can help the PTSD soldiers, they can help the autistic kids and help people with autism because they were reaching the people working at my house and they're going to reach more people." But Jefferson City ordinances allow the ownership of only six animals in one home, so they were taken from her. 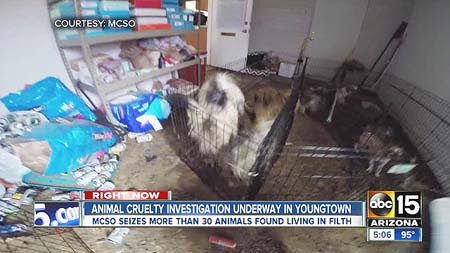 Officials said the 40 cats ranging in all different ages and sizes are being nursed back to health and the white German Shepherd mix dog is in good condition. Police Cpt. Eric Wilde said the animals are not yet up for adoption because they still legally belong to Goyda. "She can come back here and lay claim to those animals. 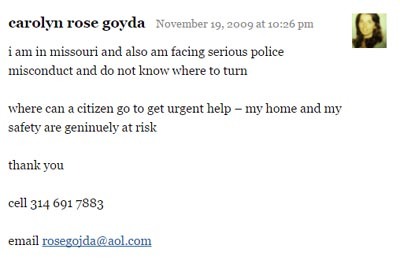 But like I said, she can't legally possess as many as she had within the city limits of Jefferson city. So she'd have to find different living arrangements for the ones she wants to keep," said Wilde. The animal shelter will bill Goyda for boarding her cats while she fights to get them back. "I really do believe cats can reach these kids. They really can. And I want the chance to show this," said Goyda. 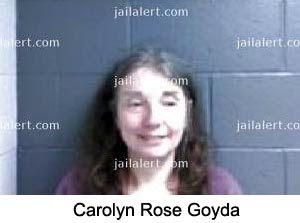 Goyda is scheduled to be arraigned in Cole County Court on July 29. This post is from 2009. What criminal charges??? ILLINOIS -- One cat. Two families. And a whole lot of mystery about what happened over the past two and a half years. 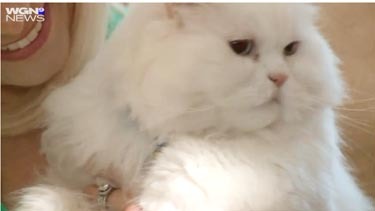 One woman says her cat went missing in September of 2013. 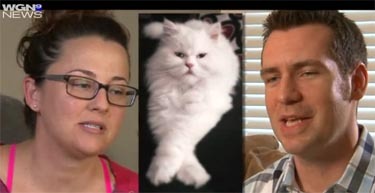 Another woman says a cat was begging to come into her home at exactly the same time. She and her husband let it in and kept the cat for two and a half years claiming they couldn't locate the owner. 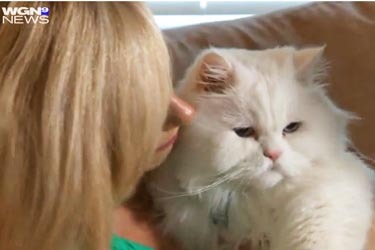 Joey is the Himalayan cat at the center of this tale and he is tugging at the heart strings of two Bloomingdale families. Joey was adopted by Nichole Milone in March of 2011. With taxes, she paid $1100 for him and has the papers to prove he was micro chipped. But Shawnie and Steve Godke have been caring for Joey for the last two and half years after the white cat darkened their door day after day, they claim. Shawnie says the cat was abused, neglected and unwanted. 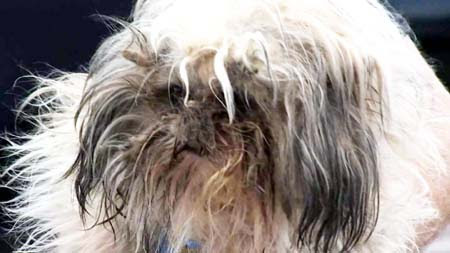 2013 photos show Joey when his fur was matted, dirty and he was filled with burrs. That cat, she and her husband contend, found them. "He was trying to come in for months upon months upon months,” she says. “And we said, ‘Here is food and water, now go home kitty cat. You need to go home to your owners.’"
But he kept coming back, she says. Meanwhile, just three doors down in September of 2013, Nichole Milone filed a police report, contacted her microchip manufacturer PetKey and posted a hundred or so of these fliers all over town at animal shelters, the police station, even local grocery stores looking for her indoor/outdoor cat Joey. Nothing. "I assumed he was probably taken by a coyote or something,” Nichole says. Fast forward two and a half years later to April 29, 2016. 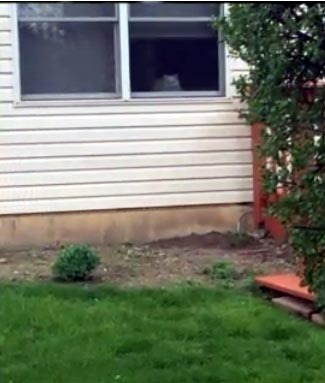 Nichole was entering her yard from the back and happened to glance up at her neighbor’s home where she says she saw her own cat. “What is the possibility that my cat is three doors down from my house this whole time?" Nichole called police, had his microchip scanned and it was indeed Joey. Police won't press charges and the Godkes refuse to give up their prized pet. 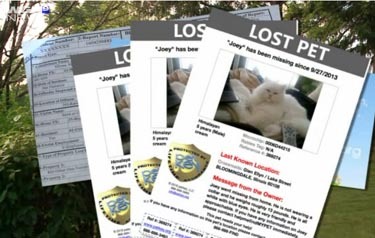 They admit they never reached out to police or any animal shelters when they took Joey in. They relied solely on the microchip system to reunite this cat with its rightful owner. One problem: Their vet looked up the chip number on just one website: RFID-USA Microchip Registry - USA. It showed "microchip unregistered". If you plug in that same 10-digit number on the American Animal Hospital Association site, missing cat Joey comes right up and links you with the PetKey people. And when you simply Google "Joey missing cat Bloomingdale Illinois,” PetKey's link is the first one listed. Also, the Godkes have been calling the cat Joey from almost the start. 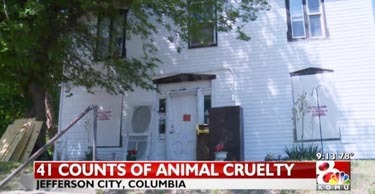 How is that possible if they never knew the animal before it showed up at their home? They say a neighbor in the same subdivision told them about the name. So they went with it. Shawnie says, "This neighbor that told our neighbor said that this cat must be from somewhere in the subdivision and that woman heard his name must somehow be Joey. … My focus was on what was best for this animal. And if this person that decided to give it that type of life wanted it back, then that person was going to have to come and make themself available." Nichole says she has tried. "I have a cat that has a chip and I can't get it back. So what's the point of the chip? I'm not furious. I’m not mad at them. I think it's sad how they are handling the situation. I feel the same way that they did. He was part of my family." So what now? Police say there is no criminal intent in this case. They refuse to press charges. Both sides have hired lawyers. They both want Joey the Cat. In fact, the Godkes have even requested a no-trespass order from police so the Milone family risks arrest if they try to go to the Godke home. A "for sale" sign already sits in the Godkes front yard. Shared cat custody not a likely resolution. So there was no "criminal intent"... but they did NOTHING to find the owner, never notified the shelter that they had this stray cat in their possession, didn't post any flyers in the neighborhood. This is theft and they need to be prosecuted. If you found a car sitting on the side of the road, could you simply tow it home and keep it??? (C) Uses, conceals, or abandons the property knowing such use, concealment or abandonment probably will deprive the owner permanently of such use or benefit. 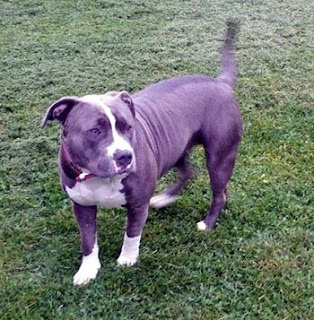 OREGON -- A Portland-area dog owner found guilty of starving her pet was rightfully convicted -- even though a veterinarian gathered evidence against her by drawing the dog's blood without a warrant, the Oregon Supreme Court ruled Thursday. The case at issue began in 2010, when an informant told the Oregon Humane Society that then 28-year-old Amanda L. Newcomb was beating her dog, failing to properly feed it and keeping it in a kennel for many hours a day. An animal-cruelty investigator went to Newcomb's apartment in December 2010 and, once invited in, saw "Juno" in the yard with "no fat on his body." The dog, the investigator reported, "was kind of eating at random things in the yard, and trying to vomit." 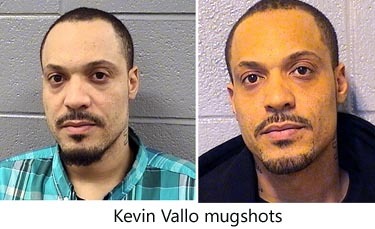 ILLINOIS -- Kevin Vallo was charged with multiple charges (drugs, felon in possession of a gun, 12 counts of animal cruelty). The notes say that he surrendered 5 dogs at the time of his arrest. The following details are provided for the convenience of trained Court Advocates, who are authorized to act as Court Advocates through Safe Humane Chicago. The information contained here is from initial arrest summaries, court proceedings, court advocate reports, and other sources. 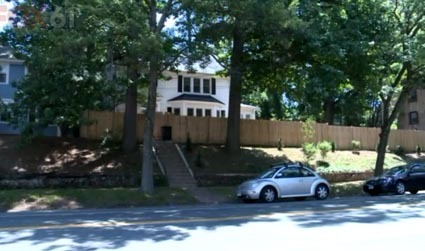 CONNECTICUT -- A 53-year-old New Haven woman has died after being attacked by two dogs outside of a home on Ella T. Grasso Boulevard last week, according to a city official. 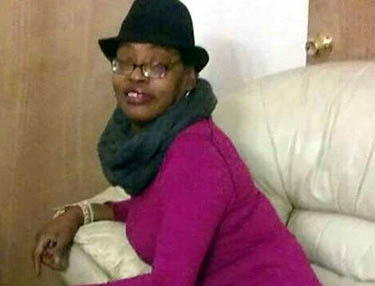 Jocelyn Winfrey succumbed to her injuries after being treated at Yale-New Haven Hospital. The incident happened while Winfrey was visiting Hamilton Hicks, the owner of the dogs. Both were attacked as soon as they walked onto the property, according to witnesses. Police said a neighbor heard the commotion and tried to help by grabbing a broom. The neighbor told police that kids were also throwing rocks at the dogs to try to get them to stop biting the woman. “I seen two dogs just biting on people,” said Trayzon Sherman, who ran to help. He said he started throwing rocks, a trash can, and yelled at the dogs. “Chunks of her skin were missing and everything,” said Peter Pervis. Hicks sustained multiple dog bite injuries to his body. He was treated at Yale-New Haven Hospital for what police described as non-life-threatening injuries. The dogs were originally described as pit bulls, but Rick Fontana, Deputy Director of Operations for the City of New Haven Office of Emergency Management, says they were American Bulldog mixes. VERMONT -- On Saturday, June 25, at approximately 4:30 p.m., Hartford Police were dispatched to a report of a dogfight in the off-leash area of Watson Upper Valley Dog Park in Hartford Village. 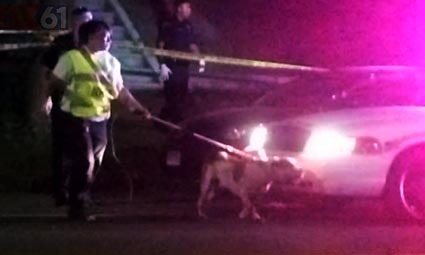 Witnesses reported that an off-duty police officer had shot and killed a pit bull that had attacked his dog at the park, reported Hartford Police Chief Phillip Kasten in a news release. Hartford Police Officer Logan Scelza, a four-year veteran of the department, was off-duty and exercising his pet Husky at the dog park when it was reportedly bitten in the throat by a pit bull, Chief Kasten reported. [The pit bull owner] acknowledged Diesel “had (the red husky) by the neck.” Gray said Scelza ran over, tried to pull the dogs apart before firing three “warning” shots into the ground and then shooting Diesel four times — once in the face and three times in the chest. Anyone with information that is pertinent to this investigation is asked to contact Detective Trooper Mike Notte of the Vermont State Police Bureau of Criminal Investigation at michael.notte@vermont.gov, or 802-773-9101. 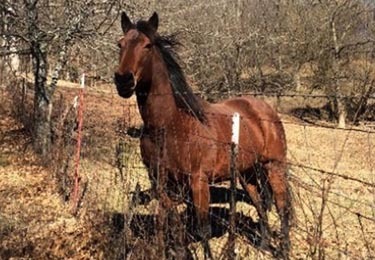 TENNESSEE -- A Middle Tennessee man found his horse shot to death at close range, and Metro Nashville Police Department officials are investigating it as a possible hate crime. 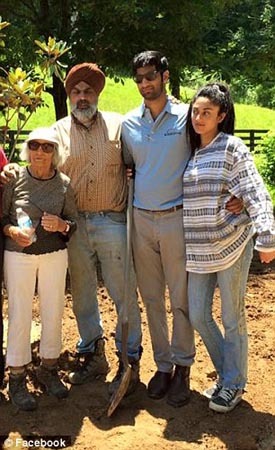 Devinder Sandhu called police when a man delivering grain to his farm from a local brewery found his horse shot in the head Tuesday morning along Toney Carroll Road. It happened sometime between Noon on Sunday and 8 a.m. Tuesday morning. The road near the pasture where the horse was found is a private, dead-end road. 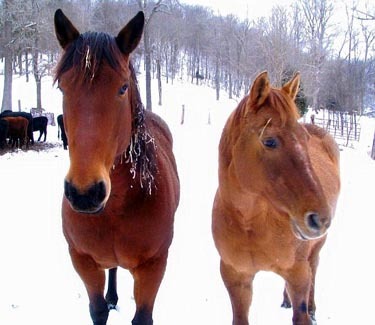 The Sandus raised 17-year-old Misty Blue by hand since she was born in their pasture. His son named her after the misty morning of her birth. They said the Tennessee Walking Horse had a big, friendly personality. "She would have greeted somebody who came up to the fence," Sandu said sadly. Police said her death was not a hunting accident. The North Prescient and specialized investigations unit is checking to see whether this was a hate-crime. Sandhu is Sikh and wears a turban. He fears someone may have targeted him, but hopes that wasn't the case. 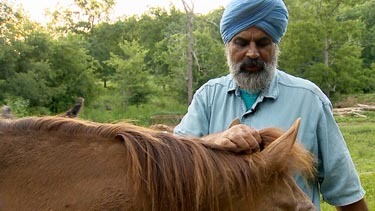 He says his beard and turban are as old as the Sikh religion. "So that we couldn't hide or blend into the crowd, so we could stand for our beliefs which was protecting the innocent," he said. He says the family misses Misty Blue terribly. "It's been a couple days and I still can't do it," he said, "I cannot imagine coming out here and not seeing her. It's very difficult." The family has offered a $5,000 reward to anyone with information leading to an arrest. They've also set up a gofundme page to raise that reward to $10,000. Anyone with information about the case is asked to call Crimestoppers at 615-742-7463. UNITED KINGDOM -- THE father of a five-year-old girl who was bitten on the face by a dog has branded the irresponsible the dog owners 'cowards'. Nieve, from Clayton, was standing in a queue at a food stall at an event in Calder Homes Park, in Hebden Bridge, on Sunday just before 3pm. She was holding her grandmother's hand when a Staffordshire bull terrier-type dog, which was on a lead, jumped up at her. It bit her on the face, tearing her lower eye lid and destroying her tear duct. It also bit her on the leg. Her father, Chris, whose did not want to give his surname, said his mother immediately picked his daughter up with blood streaming from her face, but the two men who were with the dog just ran off. 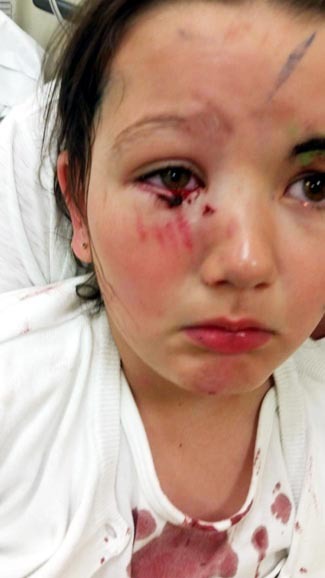 "It was a cowardly thing on their part, to run off when they knew their dog had attacked a child. I don't have any problem with dogs. We have a Staffie of our own. We've had him for seven years and he has never been aggressive. It's not the dogs, it's the owners. They should come forward and hold their hands up and say they are sorry." Nieve was taken to Calderdale Royal Hospital and a specialist eye surgeon was brought in to repair the damage to her eye. "The reconstruction to her eyelid looks great but they won't know if the repair to her tear duct will work for another couple of months. If not it will mean her eye will water a lot and she will have to be on medication all her life. Hopefully it has worked," he said. "Nieve is being very good about it and is home again and playing happily. She's young enough to get over it and hopefully there will be very little scarring. I just want this dog to be found before it attacks another child. Nieve's injuries could have been a lot worse. She could have lost an eye. The next child may not be as lucky." West Yorkshire Police confirmed they were looking for two men who were seen with a ginger/brown and white Staffordshire bull terrier-type dog. The two men with it are described as white, in their 50s, broad built with glasses. 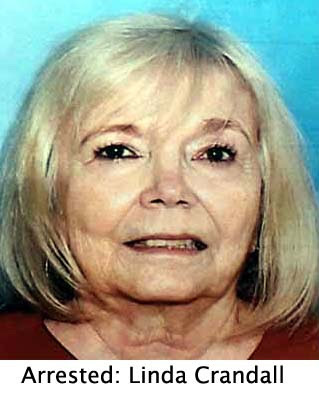 One was described as bald or with very short hair and was wearing a black or navy and white horizontal striped shirt. PCSO Gareth Helliwell said: "The two men with the dog have apparently left the area without checking on the girl's welfare or leaving any details. We need to identify these two men and would urge anyone with information about who they are, or indeed the men themselves, to ring Valley North NPT on 101. AUSTRALIA -- A dog has fatally mauled a three-year-old koala north of Brisbane, with the RSPCA stressing the need for pet owners to help protect local wildlife. "The attack happened at 2.30am but the dog's owners didn't call the RSPCA until 7.30am," the animal welfare organisation said in a statement. "We're urging everyone to keep their dogs inside at night time, particularly if they're in koala inhabited areas," she said. "We're also urging anyone who witnesses an attack to call 1300 ANIMAL immediately. "This koala lay in pain for over five hours. If we'd got there sooner there is a chance he could have survived." 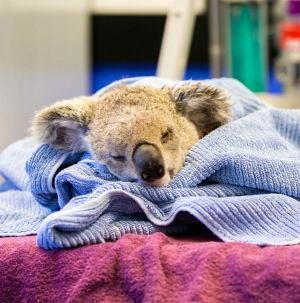 The RSPCA Queensland's Wildlife Hospital has taken in more than 170 koalas this year, with 25 percent of them being the victims of dog attacks. 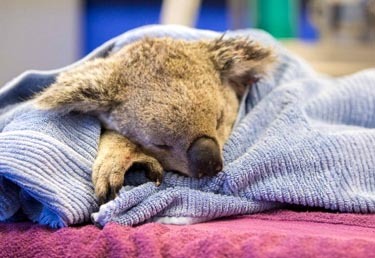 "He was fit and healthy and sadly that's not common in our rapidly dwindling koala population. This is such a waste." Maricopa County Sheriff’s Office says many animals were covered in sores; one dog was rushed to an animal hospital. 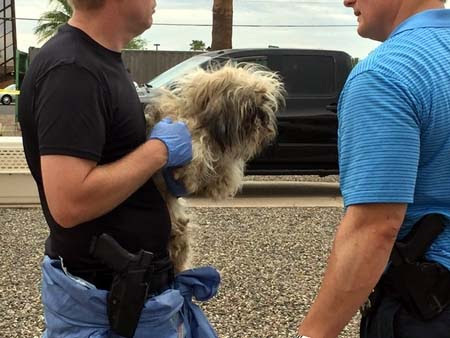 ARIZONA -- More than 30 shih tzus were rescued from a suspected puppy mill Thursday morning by the Maricopa County Sheriff’s Office animal crimes investigation unit. 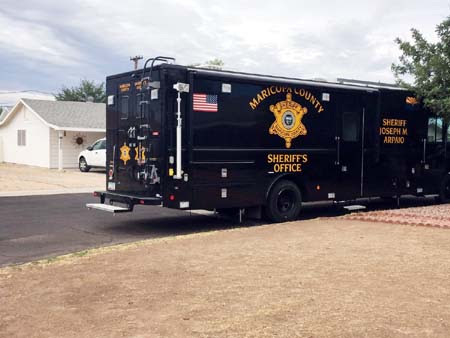 Neighbors in the area of the residence, near Peoria and 111th avenues in Youngtown, reported a strong smell coming from the home of Linda Crandall, 69, to the Maricopa County Sheriff’s Office, according to Maricopa County Sheriff Joe Arpaio. 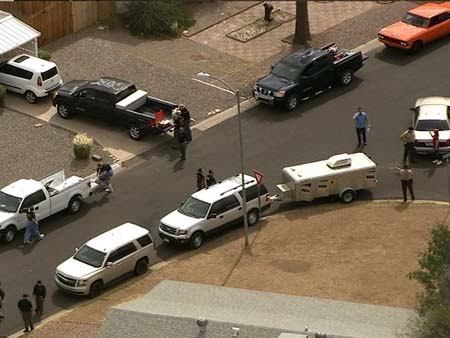 After securing a search warrant, sheriff's deputies arrived at Crandall’s home, where they found the dogs, Arpaio said. The floor of the house was covered in feces, and one of the dogs was rushed to an animal hospital in critical condition, Arpaio said. Many of the other dogs were covered in sores and were in generally bad condition, he said. 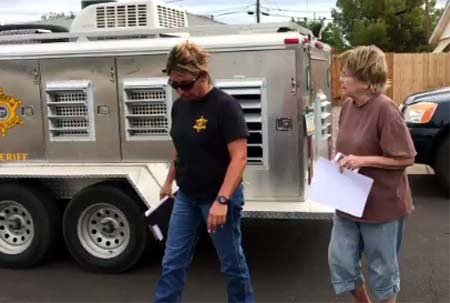 It was suspected that Crandall was operating a puppy mill at her residence, Arpaio said. Shih tzus can be sold from $500 to more than $2,000 depending on the quality of the breeder and the condition and age of the dog. 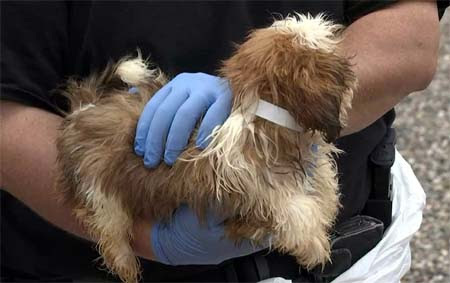 Crandall was arrested on suspicion of animal cruelty and has surrendered the dogs to the Sheriff's Office, Arpaio said. MCSO will help rehabilitate the dogs before putting them up for adoption, Arpaio said. In November, the Sheriff's Office rescued 129 pugs from a puppy mill near Tonopah.